"So on the evidence of Tiger's memorable victory at Augusta it will take a brave man to rule out further success in majors this season. The Betfair Sportsbook rate him at just 6/4 to win at least one more this year, 10/1 to win at least two more, and 50/1 to complete a quite astonishing grand slam." In winning his 15th major championship, 11 years after securing his 14th, Woods completed arguably the greatest comeback in any sport, not just in golf. A little over 17 months ago the former world number one had fallen to 1,199th in the official world golf rankings. Today he is back up to sixth. Tiger's descent down the world rankings was due to a prolonged period of absence with injury rather than him playing poorly, but that just makes his comeback all the more incredible. 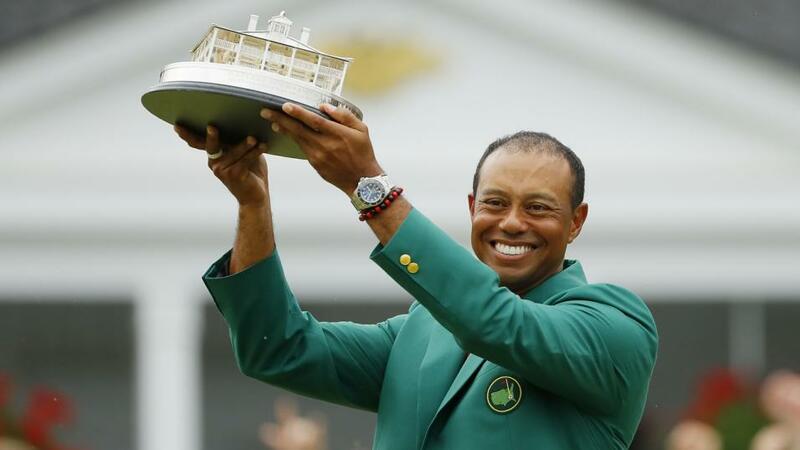 Thought likely never to play the game professionally again Woods was in so much pain with his back that he himself once whispered to a fellow US Masters winner at the traditional Champions' Dinner that he was done, suggesting his playing days were over. Whether he truly believed that he'd never return to professional golf again we'll perhaps never know, but Tiger underwent spinal fusion surgery almost two years ago to the day, an operation that along with the levels of determination and desire to return that only some champions have, put him back on the road to recovery. Woods returned to action at the Hero World Challenge in December 2017 saying that for the first time in over 10 years that he was pain-free. He finished ninth in that event before enjoying a hugely successful 2018 that saw him lead the Open Championship, finish second in the USPGA, and claim his 80th PGA Tour title by producing an emotionally-charged victory at the Tour Championship. 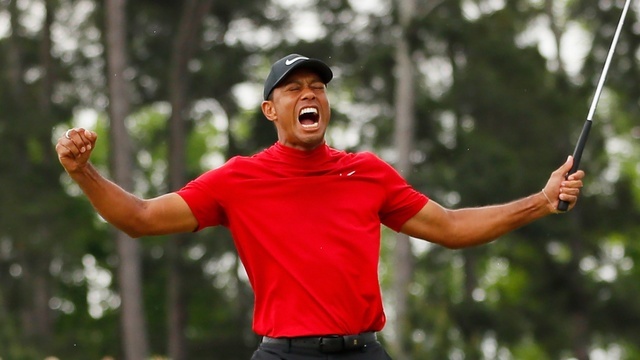 But it was Sunday's victory at Augusta, topping one of the strongest ever major championship leaderboards, that truly completed Tiger's comeback. 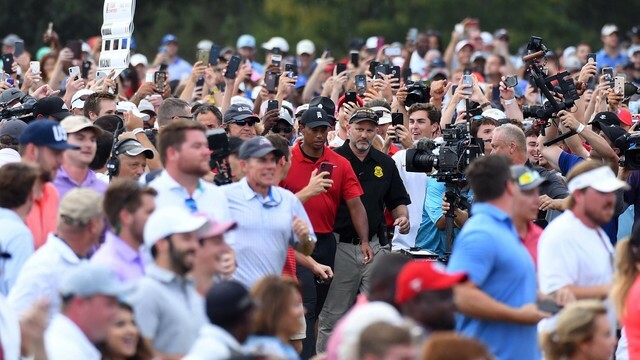 It was a win that didn't just tell the golfing world that Woods was healthy and able to compete, it was a victory that sent out a warning to every one of his fellow professionals that he's back in the business of winning major championships again. And boy have the betting markets reacted. Tiger was generally available to back at around the [18.0] mark prior to the US Masters, a price that showed respect for a player who was in decent form and was an Augusta National specialist, but it was also a price that not many people were willing to take. Augusta, and indeed the quality of opposition, have changed dramatically since Woods won his fourth green jacket in 2005. He no longer hits the ball further than every one else and the course is much longer, which made the manner of his victory all the more encouraging. Like most major champions the 43-year-old had a few slices of luck, but his ability to turn the ball both ways, hit low stinging shots off the tee to find fairways, show a precise touch on the greens, and perhaps more importantly, use his experience to manage his way around the course, were more than enough hints that he'll be a major force in the months ahead. Next up is the newly-scheduled USPGA Championsip at Bethpage Black, scene of Tiger's 2002 US Open win, and the Betfair Exchange now has him as the [11.0] joint favourite alongside Dustin Johnson. The major season then continues at another venue where Tiger has tasted success, Pebble Beach, for the US Open. Few will ever forget Woods' record-breaking 15-shot margin of victory at Pebble in 2000, and it's no wonder that he's now trading as the [11.5] favourite ahead of DJ and Rory McIlroy - both [13.0]. The fourth and final major of 2019 will be held at Royal Portrush, home this year of the Open Championship. Tiger has never won there, in fact he's never played there professionally, but that hasn't stopped the Exchange players backing him into [11.0] alongside home favourite McIlroy. So on the evidence of Tiger's memorable victory at Augusta it will take a brave man to rule out further success in majors this season. The Betfair Sportsbook rate him at just 6/4 to win at least one more this year, 10/1 to win at least two more, and 50/1 to complete a quite astonishing grand slam. As we've seen in the last 24 hours when it comes to Tiger Woods, nothing should be discounted.